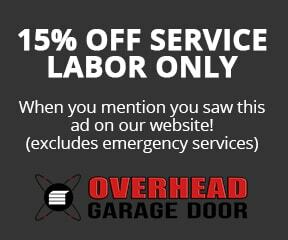 Kenosha Garage Door Repair & Installation | Overhead Garage Door, Inc. Overhead Garage Door, Inc. is a trusted source for garage door repairs and installation in Kenosha, WI and surrounding communities. Our local dispatch team will arrive promptly and provide a fair and honest quote for the work being done. We have the leading team of professionals in the industry. Our team is expertly trained, certified and experienced. Since 1969, residential and business customers have counted on Overhead Garage Door, Inc. for dependable garage door services. Kenosha residents are calling on Overhead Garage Door, Inc. because our commitment to customer service sets us apart from the competition. With our new local dispatch office, we are able to service Kenosha residents the same day they make an appointment. Our friendly sales staff will walk you through the entire process before a professional arrives. Our technicians will arrive at your home or office and provide industry-leading service. Our team will work quickly to install or repair your garage door. No one else is able to provide the same level of experience, quality customer service, fair and honest pricing and the top products in the industry. Please fill out a contact form or call today 262-552-6600 to set up a no-pressure sales appointment. We are committed to exceeding our customer’s expectations. Improve the appearance and the performance of your garage door today!